The easiest way to do this is to first state what makes them the same. Then I will go through each area where there is pretty significant differences. How are Ambergris Caye and Placencia the same? 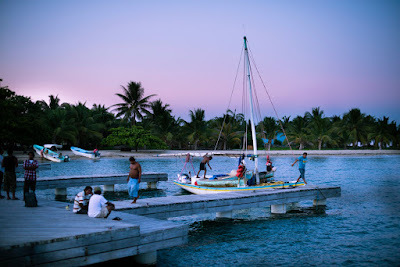 --There is a distinct Belize culture in both places that set them apart from North America. Some of these key differences - lack of materialism, lack of urgency, island vibes, a "swim at your own risk" mentality, a libertarian take on life (live and let live), a desire for a lack of interference by others, a heavy emphasis on "fun" (recently marijuana was legalized in small amounts on private property, and you can drink a beer while doing just about anything, no shame in ordering a beer for breakfast), similar rustic Caribbean styles (lots of thatch roofs, simple wood houses, concrete hurricane strength buildings). You will see in both places simple wood shacks, or million dollar homes. 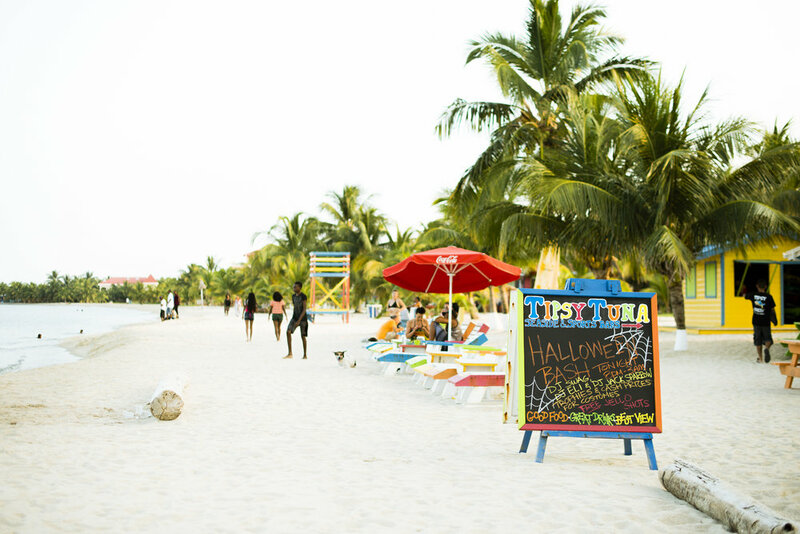 Both places have a vibe where everyone hangs out together - especially in Boca Del Rio in San Pedro, and the village in Placencia. There are areas that are more where expats or locals live in both places, but the heart of both places - tourists, locals, and expats all hang out together. Gated communities as a whole are not part of the culture here, and the few there are, are farther from town. Both have busy downtown areas with golf carts as the main transport, tons of bicycles and pedestrians, dogs, and local characters. Both have a plethora of small, rustic local businesses and no chain restaurants. Both are right on the water and this is the main attraction for both places, along with the reef, fishing, and island excursions. Both places are tourist destinations, so you will see that many of the activities and businesses are geared to attract visitors - crab races, movie nights, dinner specials, games, drink specials, live music, etc. If you do not like this type of energy, or prefer a place that is off the beaten path, you may want to look elsewhere in Belize. Those that thrive here are those that enjoy the energy that comes with tourism and what it brings. (The benefit is, you can find fun things to do every night of the week, and often for just the cost of a drink or two.) You can find anything from a $15-25usd a night hostel to stay in, up to a boutique hotel room for $300usd a night, and everything in between in both places. There are MUCH bigger resort places in San Pedro, most located north of town. In Placencia, the bigger resort-like places are miles out of the village. Both have wonderful fishing and excursion options for adventure. 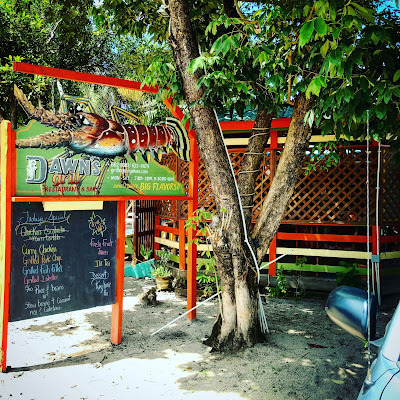 In Placencia you can drive to the jungle and all sorts of crazy inland fun, but the reef is closer in Ambergris so you can do a multitude of amazing options just minutes away by boat. Hard to pick which of those is more appealing. This is as busy as you'll see a Placencia Beach. 1.) What is the main difference between the two places? The main difference is SIZE. Ambergris Caye has around 20,000 people on the island in high season - this is a really hard number to figure out sometimes, as there are locals, then long term renters/expats, and tourists come and go pretty frequently. "Downtown" San Pedro, also known as the Boca Del Rio neighborhood, is pretty crowded all the time. This is where you go for the fun beach bars and energy. In comparison, Placencia Village (at the southern tip) has around 1,000 residents, and gets to around 1,500 in high season. There are also other communities on the peninsula, and the total population of the 16 mile peninsula is somewhere around 3,500-5,000 with visitors. What this means is, you are looking at a small town vibe and feel vs. a more spread out, bustling tourist town by a lot (by Belize standards). The feel of both places are pretty different. In Placencia, you can walk from the north end of town (where CBC is) to the pier in about 15 minutes. There are only two "roads" in Placencia Village, a pedestrian-only sidewalk that looks like a Caribbean postcard, and then a main road that looks like a Central American village. You can double back on the main road from the pier, walk to the north end in another 15 minutes, and you have experienced the village. However - the village packs in a LOT of funky, charming fun on this walk. Most people are very charmed by the adorable shops, coffee stops, restaurants, beach bars, and friendliness. If you hang out for a day or two, you will recognize people and beach dogs(potlickers), and it is very common to have a group that you will hang out with by the end of your vacation, and maybe a beach dog that has adopted you. Locals and expats are warm and welcoming to visitors and it is easy to make friends. If you prefer a small town feel and lifestyle, this might be right for you. You can always find a seat, even at the most popular bars in Placencia. 2.) What neighborhoods or parts of town should I visit or live in both places? 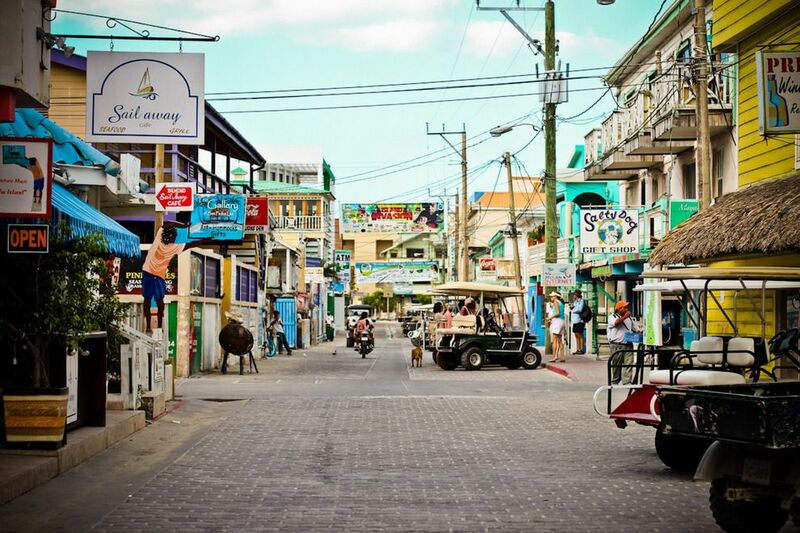 In Ambergris Caye, there are three pretty distinct areas. There is the heart of town, Boca Del Rio, that is the heart where all the busiest docks, bars, restaurants are, and the heart of the energy. It is also where you will find the most tourists and locals. 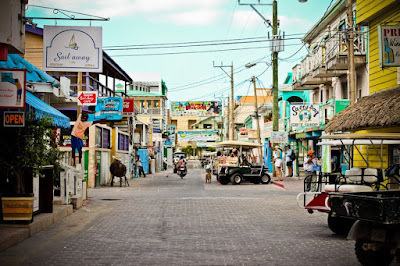 Expats definitely hang out there too - but there is a larger concentration of expats that live south of San Pedro (San Pedro is the largest town on Ambergris Caye, and Boca Del Rio is the busiest neighborhood in that town.) South of town is very interesting - there are some of the most fun (mostly expat) bars, like Crazy Canucks, some great resorts, and then a lot of housing for locals and expats. It feels like the second busiest part of the island and has a mini downtown area that feels a bit like Boca Del Rio. As you leave the paved road, you get to where there are remote guesthouses and many, many homes where expats live. This road is tough for most to handle as it is dirt/sand and last I checked....lots of potholes! North of the bridge, (and remember that you do have to stop and pay a small fee at the booth to head north of the bridge) you will enter another haven for expats. Just north of the bridge you will see a ton of development, both active and stalled. Then you will see row after row of condos, and you will enter the chic Tres Cocos area. This is becoming a very popular area, with North American-style bars with an exotic touch. The new Crocs is a super busy, three story, tiki sports bar - always packed. Truck Stop and The Dive Bar are also really charming, memorable spots to stop at. These spots are almost always busy, and the feel is very different up north. It is less busy, with one paved, clean road with golf carts, and instead of being a packed spot with local businesses and crazy crowded, it is more spread out and quiet. You will see that people tend to bar hop from spot to spot on a bike or golf cart, it is not as walkable an area - but very vacation-ey, tranquil and pretty. Some might say - it doesn't feel as authentically Belize as most everything is new and there are fewer locals. In Placencia, there are two areas where most tourists visit, or expats live. In Placencia Village proper (south of the water tower approximately, some might say south of the airport), there is a mix of tourists, locals, and expats, there are no gated communities or million dollar homes. It is a charming, quaint village that feels very open. There is a plethora of simple wood homes, nice hotels and guesthouses, a few super charming or higher end places, and many local businesses, and the whole time, you feel like you are somewhere special and remote. It is not like Cancun or a busy tourism city. 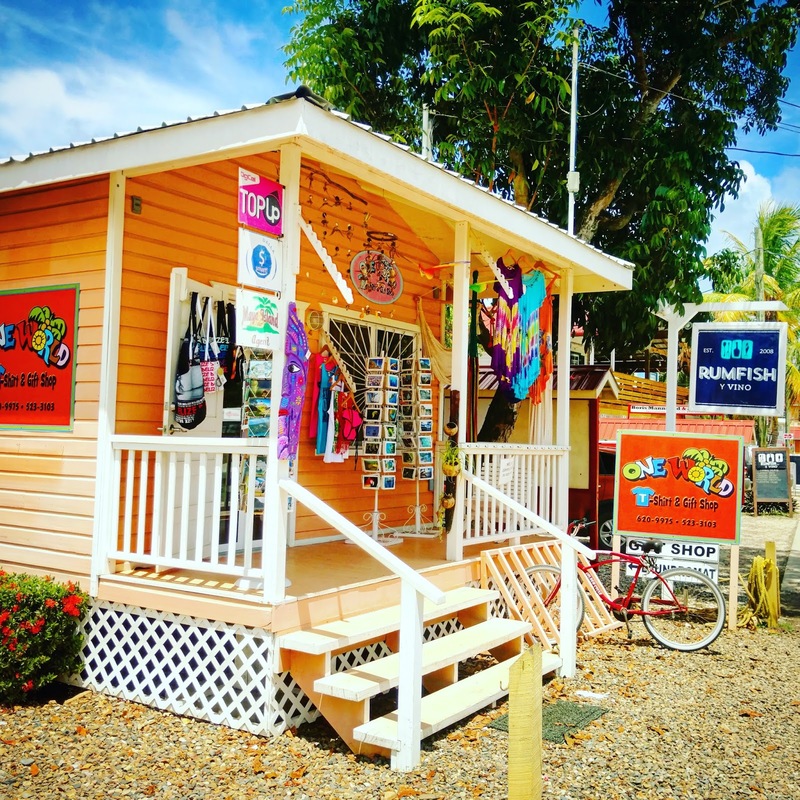 You will not be hassled by people selling things (very little compared to most of the Caribbean), and for the most part, everyone is warm and friendly. There is a slightly more sales-y culture in San Pedro, I would estimate (just my experience) you will be asked 5x if you want to buy something in San Pedro for every one you are asked in Placencia. You can go north of the village, about 10 minutes drive, where you start to find some of the larger resorts, like Laru Beya, Robert's Grove, or the new It'zana. About a 20 minute drive gets you into Maya Beach, with Belize Ocean Club or Naia Resort. There are a ton of really cute guesthouses and private homes you can rent based on your preference for remoteness throughout the peninsula as well. To get to Maya Beach from Placencia Village, you will drive through Seine Bight, which is a Garifuna village. This is not a tourist destination, this is an authentic village that looks a bit rough in spots, but it is on the whole, welcoming for those driving through or stopping for a bite. You could compare the Maya Beach area of Placencia (about 20 minutes north of the village by car) to north of the bridge on Ambergris Caye; there are a lot of similarities. The feel is quite similar, with one road through, with a scattering of really charming and memorable restaurants. Like north of the bridge in Ambergris, Maya Beach is mostly expats, with less of the local culture that you see in the village. These are a couple of the only docks in the village of Placencia. 3.) What opinions do people have about the difference in experience between the two places? This is an opinion section, very subjective, and open to argument! I will report a list of the things I have heard visitors and expats say about the differences. Note before thinking that I am wrong - I am passing on other's opinions, but argue if you feel they are wrong! -Placencia is where the country goes to vacation. -Placencia is the prettiest place in the country. 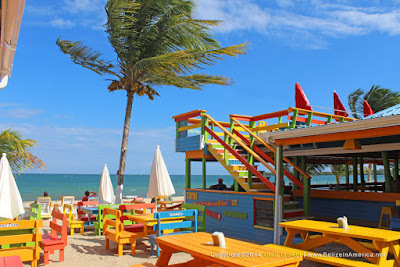 -Placencia has the best beaches in Belize. -Placencia is getting too commercial, not like it used to be. -Placencia is moving very slowly and is 20 years behind Ambergris Caye. -Placencia is growing too fast. -Placencia is better because you don't get island fever, you can drive right to the mainland. -Placencia is safer than Ambergris. -Placencia is a bit remote and is not commercial like Ambergris, it has a "cool" factor. -Placencia has world class dining. -Placencia is too far from the reef. 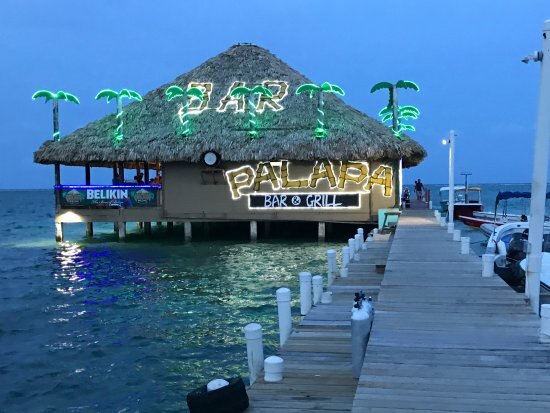 -Placencia doesn't have a lot of bars, but the ones they have are the best in the country. -Placencia has one of the best small village experiences you can have in Central America. 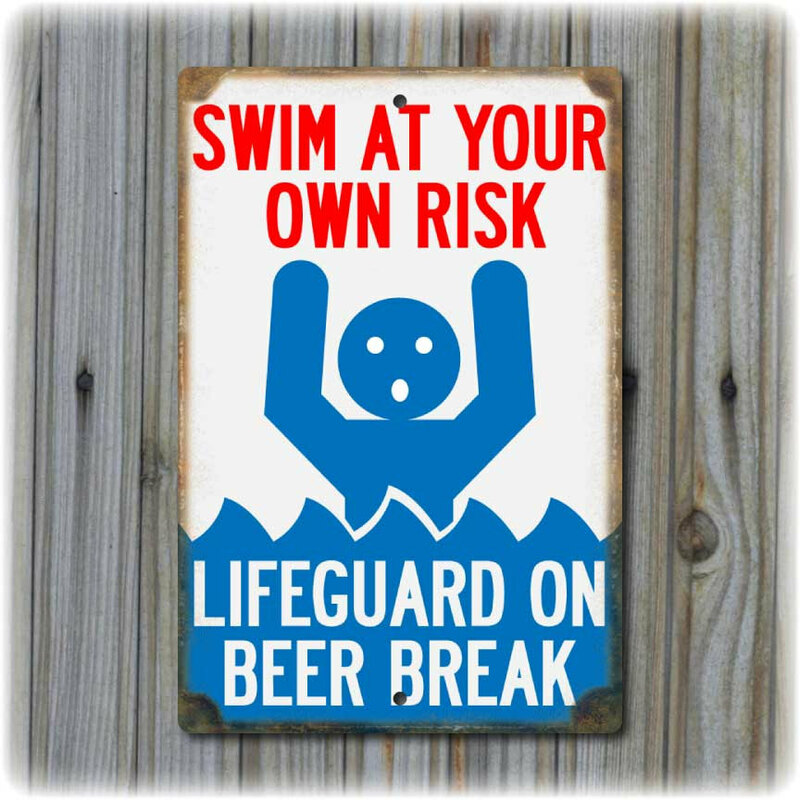 -Ambergris Caye is Spring Break for adults. -Ambergris Caye is too crowded. -Ambergris Caye has the prettiest water I have ever seen. 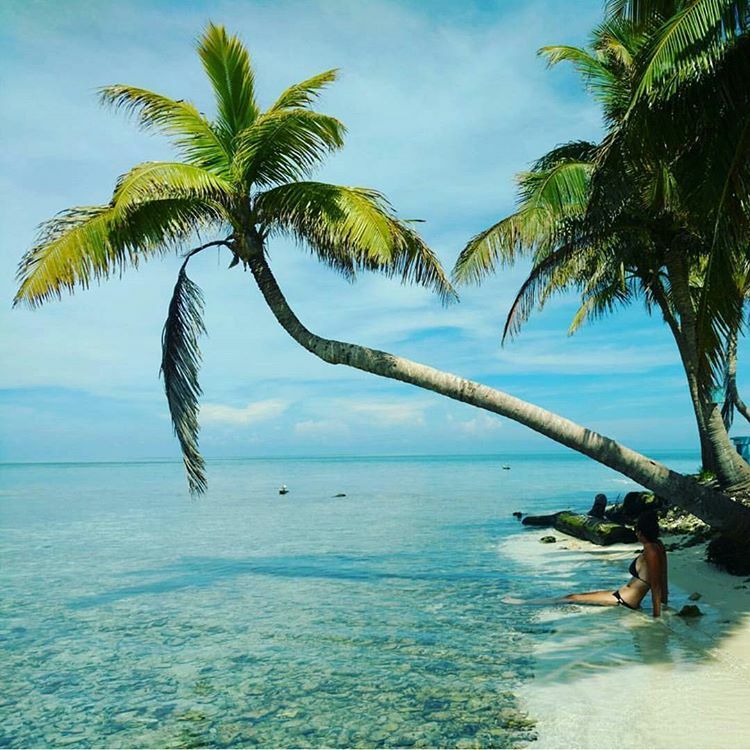 -Ambergris Caye doesn't have enough beaches, too much sea grass. -Ambergris Caye is my favorite place in the world. -Ambergris Caye makes people write songs and poems about it, where else can say that. -Ambergris Caye is where you go to party. -Ambergris Caye is much closer to the reef and you can do all your water excursions so easily. -Ambergris Caye is starting to allow some chain hotels on the island and this will ruin it. -Ambergris Caye is where all the tourists go. 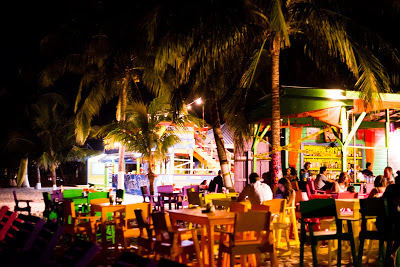 -Ambergris Caye has world class dining that gets better every year. 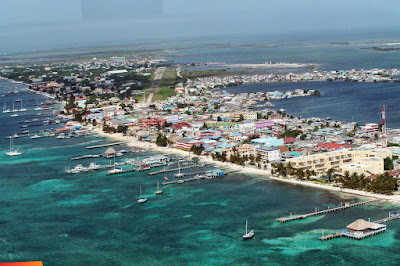 -Ambergris Caye is the only place in Belize I would visit again. -Ambergris Caye is the fun place, Placencia is the relaxing place. 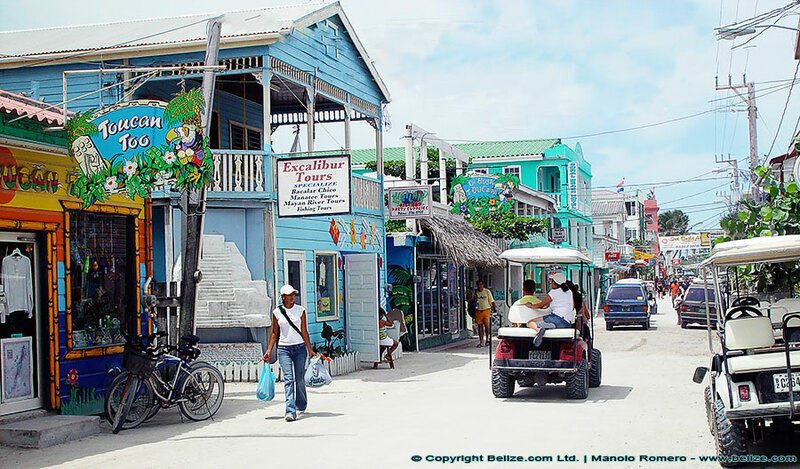 -Ambergris Caye is where you can do it all, a remote resort experience or the fun in town. 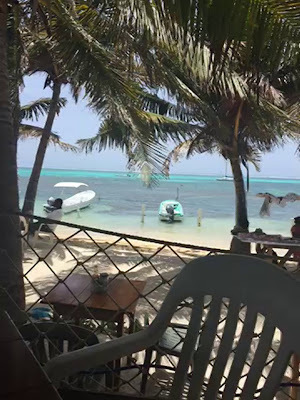 -Ambergris Caye is the best island in the world to visit. You may notice, many opinions you hear are incongruent or opposite. There are just TOO many opinions on the internet to get it right. Some say Belize has gorgeous beaches - they do! Unless you come after a storm when there is a ton of sea grass. Some say Belize isn't safe - there are parts that aren't, and if you did have something taken, you won't think it is safe. Plenty of tourists come many times, and expats live here for years, and never have a problem. 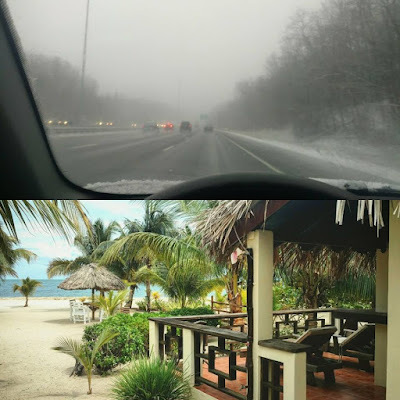 Some think both places are too busy/ or not enough to do, or that it is the best vacation of their lives and they never want to leave, and end up moving here. Some say they hated it upon first step and will never come again. No one is right/wrong, and you will find these very opinions about everywhere on the planet. The facts are, Ambergris IS more of a party atmosphere, there are more party options, the water is prettier, the sand is softer, there is more to do, the reef is closer, it is busier, and it is easier to get to. Placencia Village is more tranquil, peaceful, prettier, better beaches, more of a remote adventure, and you are left feeling special after a vacation here, because you will have connected more to the small community here. Pretty breathtaking view for lunch. --Weather - the weather is similar, but because Placencia is several hours south of Ambergris, there are two differences. It is typically a bit hotter and rainier in Placencia, but for a short vacation, you are not likely to really see a difference because it is so random. For those that live here year round, the winters are typically warm and mild, and it is considered dry season. There are cold fronts that come through and make it a bit breezy, cloudy, or drizzly for a couple days here and there, but it is still in the low 70's. After about April or May, there are some hot stretches through about September and October, where it gets a bit wetter. One annoying thing about this time of year is the puddles that stick around. Then it brings more mosquitoes. This is not really an issue in the winter months. --Bugs - my opinion here :) - coming from NE Ohio where bugs are not really a consideration in life, I thought coming here, I would constantly be jumping out of my skin from tropical swarms popping out at me. I hate bugs (and am scared of them) as much as anyone, and they just aren't THAT bad. I've been bit by things and swelled up, experienced sand flies, multitudes of mosquito bites, scorpions, and dealt with termites, cockroaches, etc. You do have to be vigilant with bug spray at certain times, and OFF tends to be your perfume here. I don't find it to be a deal breaker, it just becomes part of life after a while. You will see a lot of ants, you'll see an occasional freaky looking beetle, you don't stick your hands into dark spaces, you wear baby oil or spray preventatively, but if you do some basic precautions, it really isn't an issue in either place. --Beaches - General opinion is this: San Pedro has softer, whiter sand that is easier to walk on, and prettier shades of water. Placencia has better beaches overall. How? Placencia has wide stretches of natural beach up almost the entire 16 mile coast of the peninsula. You can walk right into the water, with little worry about shells, grossness on the bottom, or too many creatures. In Ambergris, because of wanting to protect the island, a lot of the beach is breakwalled, and the beach that there is, often has a lot of sea grass growing on the bottom that you don't want to walk on; this is because it is closer to the reef. However - one complaint you'll hear, or have yourself perhaps, is that there IS a lot of sea grass all over Belize. It is close to the reef and is part of the ecosystem of the mass amount of sea life that is here. It is not a constant problem, but it is common. Most people don't like to walk on or swim through sea grass to enjoy the water. Ambergris dealt with this by building a ton of docks that you can jump off and enjoy clear water, and you can always find a beach or island, or area, where there isn't sea grass in both places. It doesn't need to be a deal breaker for vacation or living here; it is one of those nuisance things that you get used to dealing with. --Housing - Both places offer everything from a wood, rustic, basic cabin on the beach, to million dollar condos. There is a lot of arguments online about whether it is too expensive in Belize. You CAN find really inexpensive housing here, or you can pay prices that are in line with anywhere in the US. After some time and experience here, you can figure out what you are comfortable living with and without, and at what price. If you want directly on the beach, with a/c, laundry, multiple bathrooms and bedrooms, in a resort community, it will be expensive, because a lot of people are moving here, and there is a demand for this. If you want to find a place to live economically, near the beach, this CAN be found. In Placencia, for example, there is a popular multiple suite house that has beach views, a/c, laundry, 3 beds/3 baths, and rent is $1300usd/month. In Ambergris, just north of the bridge, you can live in a resort community a block from the beach, 2 bed/2 bath, for about $1200usd/month. These are hard to find on line and you really will find the best deals by spending time in each community and knowing where and how each place advertises the best deals. 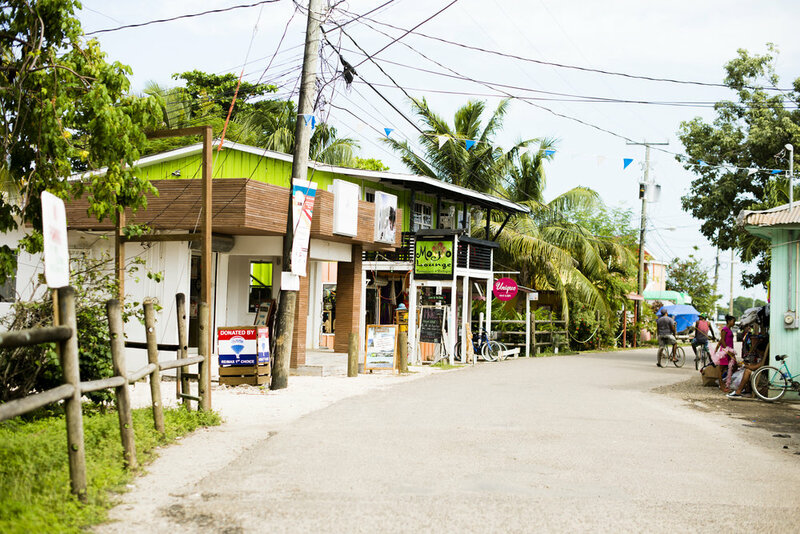 In Placencia, the village is known to "run on Facebook." Everything from housing, to swapping items, to finding out what is happening in the village, is found on Facebook groups. In San Pedro, because it is bigger, there is less "intimacy," and it takes a little more research to figure these things out. --Culture - There is a melting pot culture all over Belize. There are some differences between the two places, San Pedro is a busier, more hurried pace, and Placencia is slower. There is a more noticeable Garifuna culture in southern Belize, and you can find a slower, more traditionally Caribbean vibe in southern Belize. Still not busy on main street, Placencia. --Crime - Crime is a hot button issue for everyone, with good reason of course, as no one wants to visit or live in a place they don't feel safe. There are parts of Belize that you really need to have advanced experience to visit, but those places are not Ambergris Caye or Placencia. These two places know that tourism is very important to the economy, and tourists are treated (mostly) with warmth. However - like anywhere in the world, there ARE characters who will find opportunities to take advantage of others. Violent crime against a tourist is rare, but theft is common if you leave things unattended, doors unlocked, etc. They are mostly crimes of opportunity, and because Belize often feels safe to visitors, safety precautions tend to be forgotten. It should be noted in both places, that although police are limited in their advanced technology, there is also a limitation in the weapons that criminals have access to here. You aren't going to find many organized crimes, and mass shootings are nonexistent. There is a bit of a do-it-yourself mentality here - you can prevent most crimes by a bit of vigilance, as you would do anywhere. You'll see "burglar" bars on windows, and this is a super effective deterrent. It doesn't necessarily mean that a place is crawling with crime, but it does mean, there is enough of a risk of theft that this precaution is taken, and it is enough to stop most problems. In the US we have alarm systems, and this is a similar precaution. In both places, there are similar stats as far as your risk of travel at either. Your chance of a crime happening against you is low, and if you are vigilant with your stuff, even lower. --Social Life - Social life in both places is similar, but it is much more small town and smaller scale in Placencia. You can't hide much in Placencia, but it does create the ability to be connected to many people quickly. In San Pedro, there are so many more options and neighborhoods that you do have to put some time in to get connected, as compared to Placencia, and there is a more scattered way of getting news of what is happening. Some of it is knowing which local websites to look at, some Facebook, some newspaper or blogs, or word of mouth. --Cost - Placencia is a bit more affordable across the board, mostly because Ambergris Caye is an island and therefore, everything has to be shipped in. Both places have very expensive imported food and wine, and the prices feel a bit shocking both places until you have more time here, and you can figure out how to bring costs down for almost everything. Belize is said to be the most affordable place to live in the Caribbean - but the most expensive place to live in Central America. --Activities/Accessibility - Activities in town are similar if you look at what you do in town (see above) - but a big difference is that Placencia, although it feels like an island, it is not. You can drive inland and have cave, jungle, and inland adventures that you have to fly or take a boat, to do from Ambergris. Some people say they get "island fever" in Ambergris, but it does feel like a large place for quite a while. In Ambergris, you can take a quick boat ride to Caye Caulker, which is another great Caribbean island. 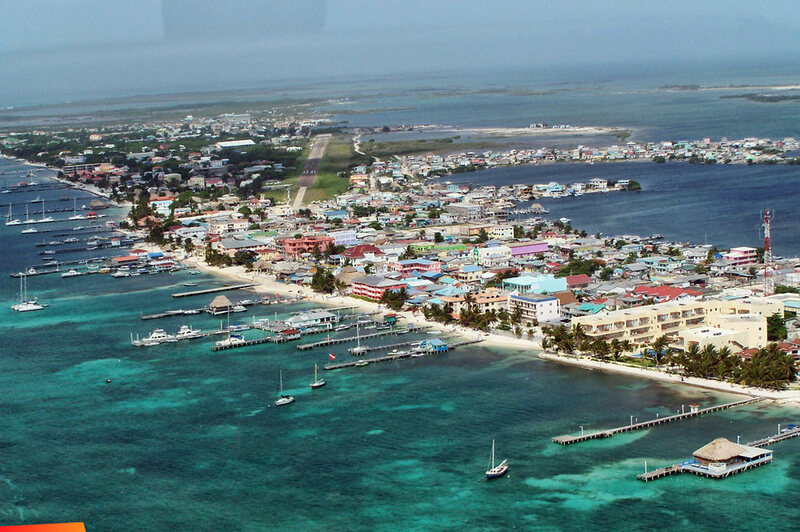 Ambergris is closer to Belize City and Mexico, which for some people makes it more convenient. Ambergris has more government offices located right on the island, which you will likely need at some point, and in Placencia you may have a drive or a water taxi to get to bigger towns where these offices are. Placencia has a more remote feeling and because it is farther from the big towns, with a smaller population, sometimes, some items you have to wait longer for. Super charming bars in Placencia, just not many. The best advice if you are still confused, is to do what a lot of visitors here do the first time - make enough time to visit both. Spending 4 days in one and 3-4 in another, if you can swing it, is highly recommended. People that come to one place and love it, and keep coming back (and you find a TON of repeat visitors to Belize), often say they waited years to try the other side of the country, and then were sad they didn't do it earlier. It takes a half day to travel from one to other, you can easily take a puddle jumper to Municipal Airport and then to the next place, and be there within a couple hours total! 1.) The weather - once some people experience year round summers, it is VERY hard to go back. Most of the US experiences 4 seasons, and many people do genuinely love to experience that. For others - they are just summer people. And the weather in most of the US (and definitely north of there!) does not cut it. Except for southern Florida, it does get "cold" in the winter. For those that are uncomfortable when the weather dips below the low 70's, you do have to be close to Miami or south of there. There is a different culture and vibe in Belize, and for some people, when they show up here, they feel at home. 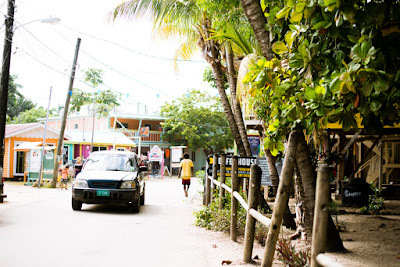 What are some of these cultural differences that make it better to live in Belize for some people....each one deserves its own section - read on! 3.) Lack of materialism - appropriate attire for Belize is flip flops or bare feet, and you are welcomed everywhere in what you might wear to the gym in the US. It doesn't occur to you after a while here why you'd need a designer bag, jewelry, expensive shoes, fancy car, or most of the electronic toys that are part of everyday life in North America. The longer you are here, the less money you find you spend and the less you feel you need. If you are partial to a minimalist lifestyle and have felt turned off by the "keep up with the Jones's" culture in North America, this could be a big reason you are drawn back here. For those that have lived here for a length of time - it is generally quite shocking and uncomfortable to experience the materialism cultural difference when they return to North America. 4.) 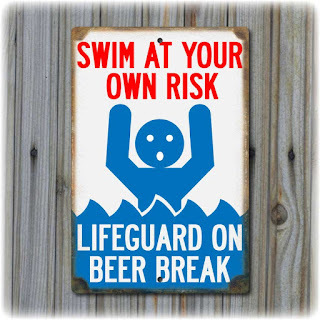 A "swim at your own risk" mentality - Many people find it very refreshing (and at first, overwhelming and even confusing!) that the restrictions/rules/regulations in Belize are very different than the US. This does NOT work for everyone - in fact, there are some that are put off by this lack of regulation, and they feel safer in places that have a list of rules posted everywhere you look. And in fairness, if you do have an issue of some sort, this difference in structure can cause you to long for home or get cultural fatigue. Things like drinking a beer while driving your golf cart, the fact that golf carts are allowed like cars in places in Belize; the fact that you can swim with sharks or jump from high places without signing a waiver; walking on the beach with a drink (even if it is in glass! ); if you want to rent out your space, or start a business, compared to a tourist place like New Orleans or Key West - the barriers to entry are wildly different; major differences in the regulations needed to build - this one can again be a positive or negative, but if you desire to trust in what you are building, with a permit, you have a different amount of freedom compared to what you can do in the US; enjoying the vast amount of small businesses that pop up by locals, right next to their homes sometimes, where they provide wonderful authentic food or experiences, and I could go on and on. It is a different day to day lifestyle here. I would describe it as a bit of a libertarian mentality - those that prefer to live and let live, think for themselves, decide for themselves what level of risk to take, who want less restrictions than the US will find it refreshing here. "The peninsula is very special and unique. We drove onto the peninsula the first time we came. The drive is so gorgeous and special....you go from watching the Maya Mountains, which look like Hawaii, to driving through what feels like a North Carolina shoreline.....to arriving at Hilton Head-like homes (Plantation area and North)....to driving through Maya Beach, which looks and feels like 1940's Florida (at least what I imagine it did :) ), to seeing authentic Belize culture in Seine Bight (this town is rough around the edges, but friendly, right on the water, and tons of local character), to arriving in the village, where not a structure is over a few stories high....everyone is friendly.....Caribbean-colored wooden homes and businesses....one cute restaurant and shop after another...and throughout this whole drive, you can see the lagoon and Maya Mountains on your right, and the gorgeous Caribbean the whole time on your left, and palm trees everywhere. I have never been in a place that had so many charming natural aesthetics." Also add to this that ALL THE BEACH IS PUBLIC! And you can find fun, lively beach action, or the prettiest remote stretch without another person in sight. And as this post is not specific to Placencia, I will add that I have never seen prettier water than Ambergris Caye, and the whole coast of the country has retained a vintage beach town feel that does not exist in the US. I can verify this is a real pic because that is me sitting there! 6.) So add to above - cost to live here. You may read complaints that it is very expensive in Belize. It is for certain things, but if you give it some time and experience, you figure out how to live more cheaply here than you ever could in the US - let alone a popular beach town in the US. When people see that the real estate prices look like the US, and that a bag of Doritos is $6us at the store, and that gas is twice the price of the US, some say forget it, why would I live here without all the first world benefits? 7.) 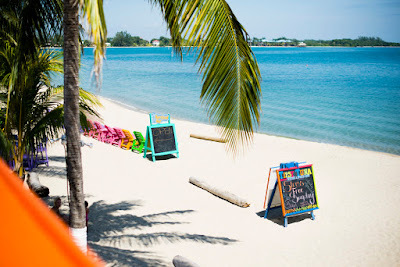 The entertainment is cheap, free, and plentiful - people who love it here are people who can sit on a pier or dock and enjoy their surroundings.......bike rides, swimming, happy hours, horseshoes, walks on the beach, hiking, relaxing in a hammock, kayaking.....all year long. Because some parts of Belize are set up for entertaining tourists - you find so many great activities that provide endless fun - trivia nights, movie nights, karaoke, games, drink specials, live music, dinner specials - there is something every night, and for the cost of a drink or two, or dinner less than $10, you can have fun any night you choose. Not to mention the many festivals, and the random things you see, like the high school band marching through town, or a fisherman fighting with pelicans and sea gulls as he's cleaning his fish. When I am in the US - the entertainment and cost is SO different. Socializing in the US usually involves movies, pedicures, expensive dinners, yoga classes, themed parties like makeup or jewelry which revolve around buying things, of course shopping, theme parks, miniature golf, trampoline gyms, Chuck E Cheese, golfing, skiing, and the endless ways we spend our money for entertainment. It adds up! 8.) Some random things - fatigue over the political climate in the US - and this is everywhere, you can't get away from it, but by being a guest in another country, I can promise it feels much less personal and upsetting no matter what side you fall on. People also often ask about crime in Belize - seeing that I just read about multiple carjackings and gunpoint robberies near my hometown - please consider that while theft here is common, it is usually the result of leaving things unsecured or crimes of opportunity (leaving doors unlocked, leaving things unattended). The rarity of guns, organized crimes, and nonexistence of mass shootings...while the police here are limited compared to the US, so is access to weapons that can be used against you here. Meeting people from all over the world - who are usually pretty interesting! Although you do find this in some parts of the US - plenty of us are from places where we see very limited demographics and backgrounds. The tourism culture - to succeed in Placencia or Ambergris Caye, you really do need to enjoy this kind of environment. I love the energy of new guests, the signs directing guests to the best snorkeling excursions, the happy hour with local music on the chalkboards at Barefoot Bar, seeing backpackers get off the water taxi, things like crab races and chicken drops, the many booths and stalls the locals set up for tourists, etc....it gives some people a feeling of a perpetual vacation, and some of us find that's the best way to live!